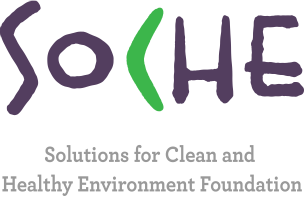 At the very core of our organization is a commitment toward ensuring environmental sustainability and social upliftment. Through our diverse efforts, we would like to keep expanding our outreach and collaborate with various stakeholders to build a sustainable planet. Our efforts therefore are aimed at conserving Nature, providing solutions ranging from air pollution reduction, improving efficiency of baking kilns, mainstreaming natural, renewable and reused products among consumers to enhancing biodiversity through bee-keeping, livelihood enhancement, trainings and awareness generation. While the country is moving towards “Digital India” and “Make in India”, artisans in different corners of the country still remain unconnected to the mainstream economy. They continue to struggle for survival as traditional handicrafts, knowledge of which has been passed to them over generations, are slowly dying. These include pottery, paper mache, local kadhai-bunai, paintings, nakkashi etc. Many of them work under highly polluting environments that impacts their and their families’ health and productivity in the medium to long run. Project Maati Milaap, the flagship initiative of SoCHE, will therefore connect the less connected to livelihood opportunities, with specific focus on environment conservation and social upliftment. Currently, the pilot projects are running in Delhi and Barmer, Rajasthan. Through this initiative, artisans in remote corners of the country will be provided with: Capacity building with new designs and techniques, helping them keep pace with new market demands and trends; promoting traditional handicraft and natural products among masses; improving environmental practices in the making of the products ensuring health and environment benefits. E.g., the black smoke arising from the firing kilns in the potters’ colony in Delhi is a serious concern. SoCHE, will work towards creating a sustainable market place with fair pricing eliminating the middlemen completely. This will give the artisans greater profitability and a means of poverty alleviation through direct market linkage. Societies in Delhi usually use Diesel Generator sets to provide backup electricity for houses and common area lighting like parking etc. At SoCHE we believe that by replacing these DG sets partially or fully with solar would reduce harmful emissions significantly. We are thus working with local resident welfare associations (RWAs) on the ground to switch to solar and help them reduce their carbon footprint. We welcome RWAs to contact us in case they would want to check the feasibility of this in their locations. 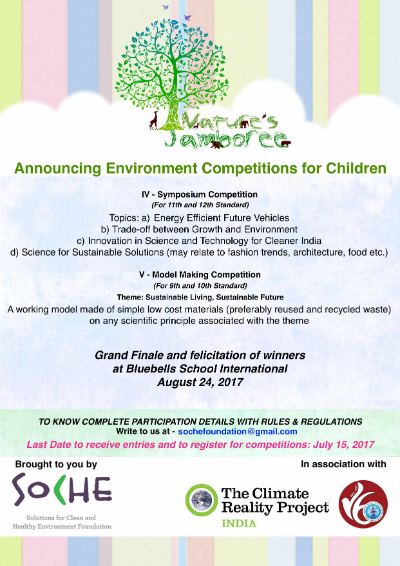 Nature’s Jamboree is an advocacy and engagement platform for environment conservation and sustainable living, founded by SoCHE Foundation. 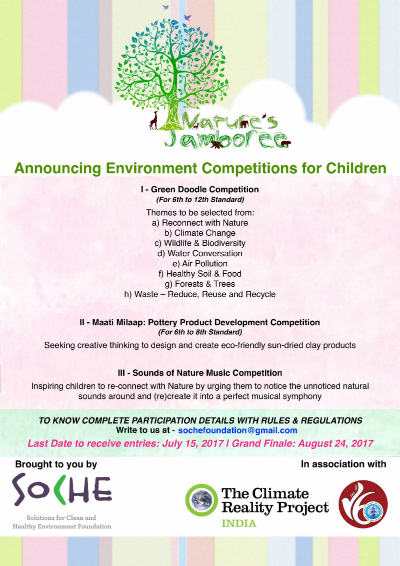 It is an effort to achieve SoCHE’s vision statement for 2035 that mentions – “Influence at least 10 million lives in urban and rural areas for sustainable living, enabling behavior change for a cleaner planet.” Nature’s Jamboree, therefore, aims to raise awareness on environment conservation & sustainable living by engaging people through art, culture & literature.